What we want is to look back at 10 of our favorite songs by the iconic rock two-piece. Some mainstay singles, some lesser known gems, all distinctly Jack and Meg. “Hello Operator, can you give me number nine?” We pause a beat, waiting for a response as the operator ticks away. Patience is rewarded with one of Jack’s signature guitar explosions. Coming from their second studio album, De Stijl, “Let’s Build a Home” uses a guitar slide and a quick rhythm pace to fuse the band’s blues and punk styles. Trading in his traditional guitar for a piano, Jack helped garner the duo a Grammy nomination for Best Pop Performance by a Duo or Group with Vocals. Recorded in the very hotel off I-75 in southwest Detroit, Michigan that gives the song its name, “Hotel Yorba” brings an upbeat country sound that got the pair “sort of banned for life” from the hotel. 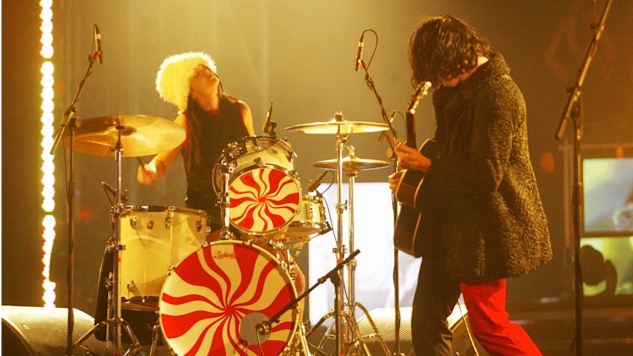 Fell in love with the White Stripes is more like it. From the darling lego stop-motion animated music video to Jack and Meg’s raging instruments, this is the song that America fell in love with. Basically a dis track to the world, this track from the duo’s second album comes out kicking with a great riff and proceeds to rip into everyone: “People don’t even know me / but they know how to show me.” Also, the chorus features an electric violin that sounds like a strangled cello. “I got a little feeling going now!” Jack White wails over and over. Backed by his well known garage rock guitar riffs, “Screwdriver” is one not to be missed off Stripes’ self-titled debut. The opening song on the band’s breakout album introduced them to the masses with a screaming feedback wail from White’s guitar and a huge dirty riff. The brilliance of this song is the wordless chorus, which arrives with crackling intensity from Jack and Meg. The quintessential Stripes ballad, with Jack taking on the role of a young schoolboy who just wants to walk to school with his friend. This song best captures the childlike innocence that the Stripes tried so hard to evoke on their early recordings. The song that rocketed the White Stripes to international fame, winning a Grammy in 2004 for Best Rock Song and producing one of the most recognizable guitar riffs in rock history—and a tune for stadium crowds to chant and marching bands to play for the rest of time.